"We will be forced to close the Southern Border entirely if the Obstructionist Democrats do not give us the money to finish the Wall & also change the ridiculous immigration laws that our Country is saddled with," the president tweeted. He also criticized past presidents and Congresses over the nation's current immigration laws. "Hard to believe there was a Congress & President who would approve!" The tweet was one of several Trump wrote on Friday morning as the shutdown increasingly looked like it could drag well into 2019. Trump in a second tweet tied the fight over the wall to another of his signature issues: trade. He said the U.S. was losing money through the North American Free Trade Agreement (NAFTA) and that closing the border would be a "profit making operation." Duncan Wood, director of the Wilson Center's Mexico Institute, told CBS MoneyWatch that shutting down the border would cost "hundreds of millions of dollars a day" or "maybe a billion." Trump also said that closing the border would help the U.S. auto industry. He concluded his string of tweets by accusing “Honduras, Guatemala and El Salvador” of taking money from the U.S. and threatening to cut off aid to the countries. Congress appropriates money for foreign aid and would have to sign off on reducing aid to the countries through the appropriations process, something unlikely to happen with Democrats retaking the House majority in January. Trump negotiated changes to the NAFTA trade deal with Canada and Mexico, but he must get the Congress to agree to legislation implementing the new trade rules to enact them. Democrats are demanding changes to the new deal that would strengthen labor rights provisions. On the shutdown, Trump and Democrats in Congress have been battling over who is to blame, with the White House stepping up its efforts to shift blame to Democrats. Democrats are confident that Trump will get the blame from voters because of an Oval Office meeting earlier this month in which Trump said he would embrace a government shutdown that was triggered over the wall. He also said he would not blame Democrats for a shutdown that started over wall funding, though he has since shifted from that stance. The shutdown has left 800,000 federal employees furloughed or forced to work without pay through the holidays. A Reuters/Ipsos poll released Thursday found more people blame Trump for the shutdown than Democrats. In the poll, 33 percent blamed Democrats in Congress for the shutdown, compared to 47 percent who blamed Trump. Just 35 percent of those surveyed said they wanted Congress to fund the wall. The shutdown is not expected to end until 2019 at this stage. On Thursday, the Senate adjourned until Monday, when it is scheduled to hold a pro forma session. Democrats will retake the House majority on Jan. 3, and could seek to pass legislation on that day to reopen the government. What's not clear is how the Senate would handle such a measure. The Senate will remain in GOP hands next year, with Republicans actually enjoying a larger majority. 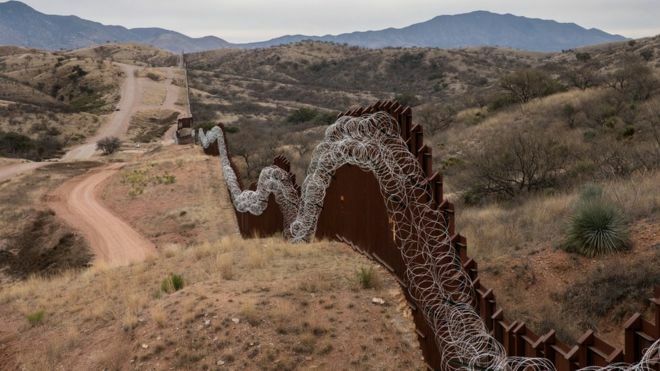 "New Mexico will not take part in the president’s charade of border fear-mongering by misusing our diligent National Guard troops," Lujan Grisham said in a statement Tuesday. Venezuela is definitely in the Crosshairs of the USMIC. 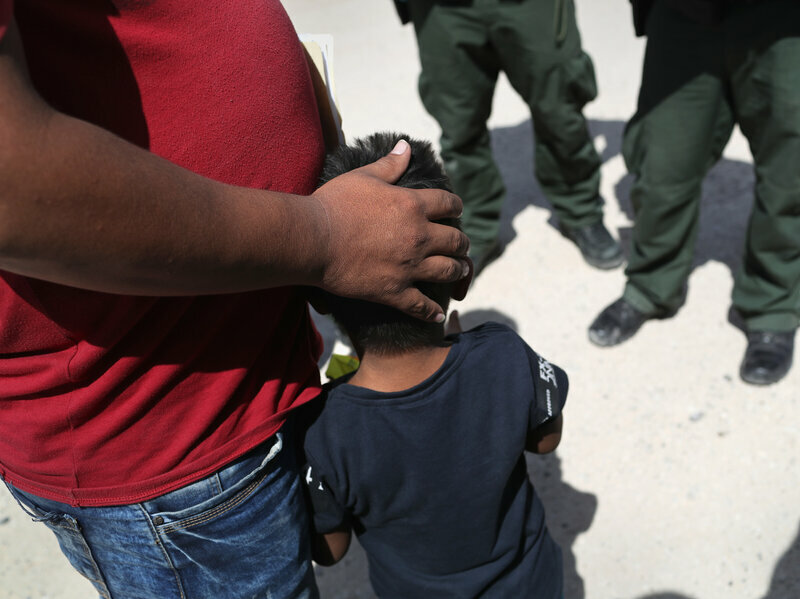 U.S. District Judge Dana Sabraw's ruling vastly expanded the number of migrant families potentially eligible for relief under a federal class action lawsuit that challenged the legality of the practice, and ultimately banned further family separation. 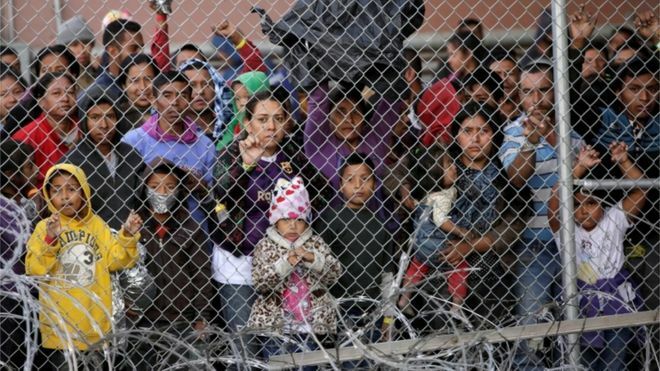 The IG's investigation also revealed that inconsistent record-keeping of those separations meant there was no way to know the total number of children separated from a parent or guardian by immigration authorities. The judge deferred any discussion of what remedy should be offered to the families to future hearings, but indicated the first step would be for the government to provide an accounting of all migrant families separated between July 1, 2017, and June 25, 2018. During that time a total of 47,083 children passed through the Office of Refugee Resettlement, the agency within the U.S. Health and Human Services that's responsible for the care of migrant children who arrive without a parent or have been separated from them. Sabraw rejected that reasoning and said the extra effort required to identify the additional children could not be considered "unfair." The IG also found that the administration began piloting the "zero tolerance" policy in El Paso, Texas in July 2017. Democrats and immigration activists are firing back at Homeland Security Secretary Kirstjen Nielsen, blaming her for the humanitarian crisis on the southwest border as the government struggles to deal with a surge in asylum seekers. Nielsen has painted a dire picture of the situation with federal law enforcement agencies forced to choose between manning ports of entry and caring for asylum seekers crossing between those ports. And President Trump raised the stakes on Friday, vowing to close down the border if Mexico does not do more to stop migrants. "The system is in freefall. 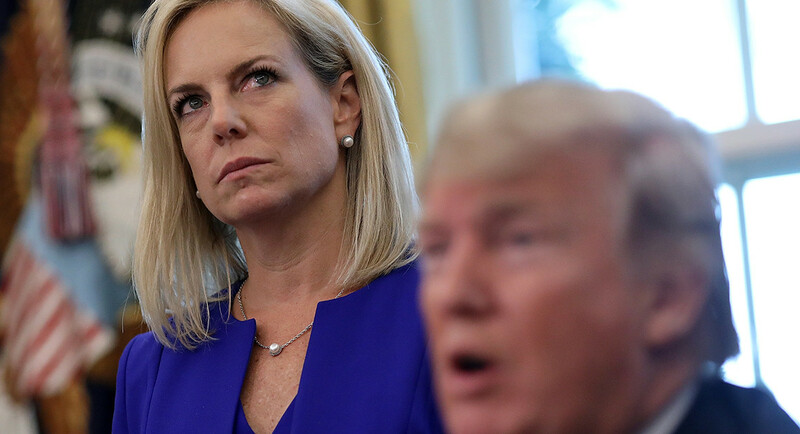 DHS is doing everything possible to respond to a growing humanitarian catastrophe while also securing our borders, but we have reached peak capacity and are now forced to pull from other missions to respond to the emergency," Nielsen said in a statement Friday. The statement followed a a letter to the House Homeland Security Committee on Thursday, in which Nielsen requested emergency funding for border security and specific powers to detain asylum-seeking family units for longer than currently allowed. But Democrats are pushing back, accusing Nielsen of misrepresenting the cause of the crisis and failing to understand how to address it. "In her letter to Congress, the Secretary continues to confuse and mislead on the situation at the border and how we got to this point. President Trump’s border security and immigration policies have failed, and the Administration deserves much of the blame for making the difficult situation at the border worse," said House Homeland Security Chairman Rep. Bennie Thompson (D-Miss.) in a statement Friday. Congressional Hispanic Caucus (CHC) Chairman Rep. Joaquín Castro (D-Texas) piled on after Nielsen's letter, saying the administration "has acted in bad faith when it comes to immigration and asylum policies." "The Department of Homeland Security policies have exacerbated the humanitarian crisis at the border, and now Secretary Nielsen has put forth a list of proposals that will continue to hurt asylum seekers and deepen the crisis," added Castro in a statement. Democrats said Trump's threat to shut the border would only make the situation worse. "Threatening Mexico with a full border closure is just another rash decision, reflective of the president’s obsession with partisan talking points and campaign rallies," said Rep. Vicente Gonzalez (D-Texas) in a statement. Neither side denies a crisis exists amid large numbers of asylum seekers heading to the border. But there is a sharp disagreement over how the situation on the border reached a tipping point. The administration is calling it an immigration crisis, while Trump critics say it has been caused by mismanaging resources at the border. The Trump administration attributes the crisis to sheer numbers -- apprehensions of family units outside ports of entry at the border spiked in February, forcing the Border Patrol and Customs and Border Protection to redirect resources to care for the migrant families. In February, the Border Patrol apprehended 36,174 people traveling as part of family units and 6,825 unaccompanied children (UACs). In the four months prior, border apprehensions hovered around 25,000 apprehensions of family unit members and 5,000 UACs per month. But the crisis seems contained to asylum-seeking families, as official figures show that illicit crossing attempts by single adults seem to be following their regular seasonal patterns, maintaining the relatively low numbers seen over the past decade. In February, the Border Patrol apprehended 23,451 adults not traveling in families, an uptick from the colder months of December and January — 18,479 and 18,678, respectively — but similar to the number seen in October and November, 22,918 and 21,431, respectively. Immigrant rights activists and Democrats blame the surge in family unit apprehensions on Trump policies implemented mostly under Nielsen. "The problem was created on her watch and instead of saying this is what I'm going to do and this is how I'm solving it right now, she's crying, 'I need more resources, I need this I need that.' and people are saying, 'no, no, we just gave you some, go do your job,'" said Ur Jaddou, director of DHS Watch, a progressive immigration watchdog. "In any other world, she would be fired," she added. 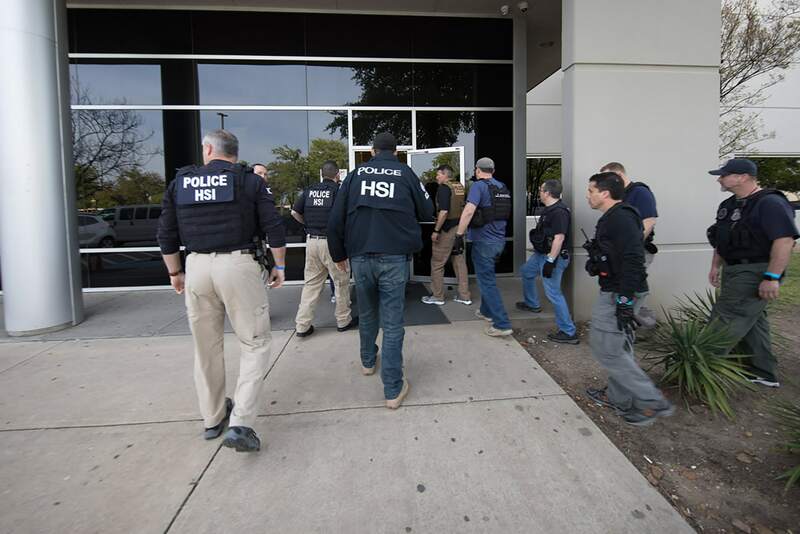 Opponents say two DHS policies, known as "metering" and the Migrant Protection Protocols (MPP), hold particular blame for pushing migrants away from legal ports of entry. 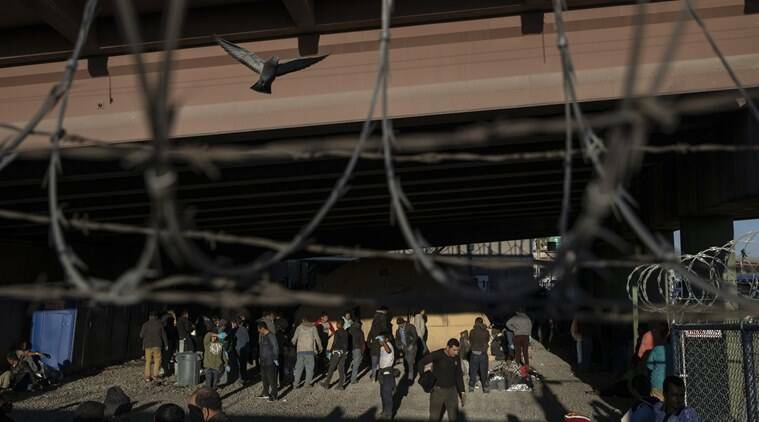 Under metering, prospective asylum seekers are given turns to present their claim at ports of entry, often forcing Central American families to wait for weeks in northern Mexican cities. And MPP, also known as "remain in Mexico," is a program that allows for some asylum seekers to undergo their first screening with U.S. authorities, and then be returned to Mexico while their cases are reviewed by immigration courts -- a process that can take weeks, months, or years. "They instituted metering a long time ago all over the border. 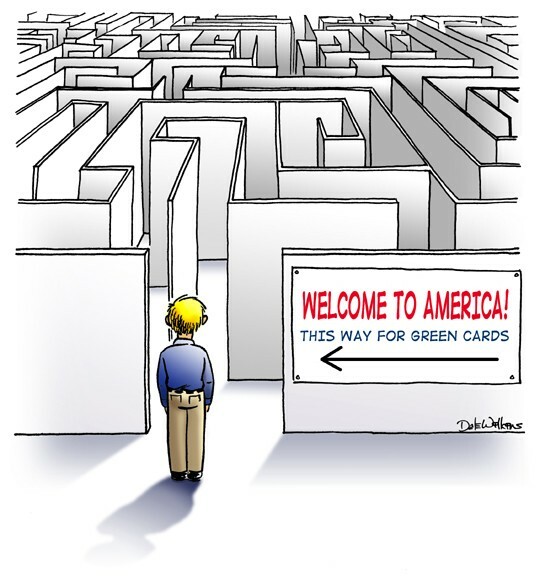 That exasperates the issue exponentially because … people end up spreading out across, in between ports of entry where there are no facilities, you're relying upon the Border Patrol to pick up people, they don't have vehicles, it's complete chaos," said Jaddou, a former chief counsel to United States Citizenship and Immigration Services (USCIS). "They should've instead had an interagency process ... to discuss, 'how do we build facilities at ports of entry where it can be organized, orderly,'" she added. Both sides in the debate also have sharply different views on how to manage the root causes leading to the rise in Central American emigration. Nielsen traveled to Tegucigalpa, the capital of Honduras, this week to sign a security pact aimed at reducing migration through tougher law enforcement in the Northern Triangle -- Guatemala, El Salvador and Honduras. One of the stated goals of the pact is to prevent the formation of migrant caravans -- a relatively new phenomenon. Advocates for migrants say the caravans provide safety in numbers but others call them an economic boon for smugglers who can charge up to $8,000 per person for the trip. The caravans though have made clear the problems with a border security force built to catch surreptitious border crossers rather than deal with large groups of asylum-seeking families. "The system was built to catch people evading, and single young men ... Now it's an easier job because they're coming to you, you don't have to have this large, large border patrol force roaming the desert, now you just place them at ports of entry," said Jaddou. The left has grown increasingly frustrated with the administration's focus on enforcement — highlighted by a Trump's push for a border wall. Frank Sharry, director of America's Voice, a liberal immigration group, called the focus on deterrence "stupid." "It's a complicated problem that requires a complicated response and the simple-minded Trump folks are making this worse," he said. Immigration advocates like Sharry say reassigning resources from border and interior enforcement to deal with asylum claims would lead to more orderly migration. 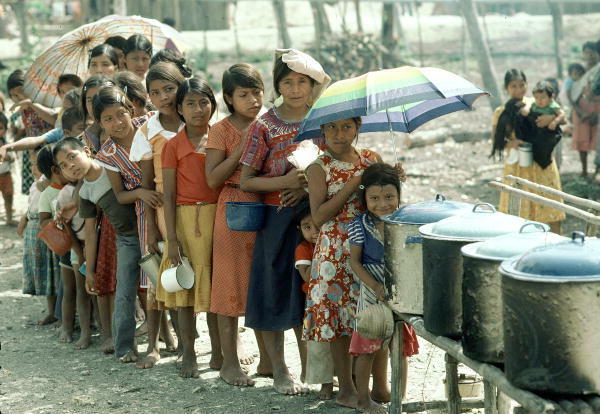 And they say promoting economic development in Central America address the root causes. Trump, though, on Friday laid the blame on Mexico and Democrats, who he said has passed "weak immigration laws," as he threatened to close the border. A senior Homeland Security official told reporters on a call that the closures would come as officers at ports of entry are reassigned to care for asylum seekers in remote areas, not as a way to punish Mexico. Democrats say they intend to step up their public opposition to Nielsen and the policies she is enacting. "I think it's fair to say Nielsen has declared open season on immigrants," said Rep. Nanette Barragan (D-Calif.). Is there any female in the Trumpofsky orbit that isn't a hot ticket? This is happening all around the globe. Global Warming and the wars are moving millions north. This HUMONGOUS problem is only going to get worse. Then there will be no food and water shortages, then disease, then death, by the thousands if we can't figure out pretty quick way to do deal with this wave of humans. Maybe all the countries around the world north of equator could all build walls to keep all the migrants ( what a name ) completely OUT and let them die of starvation! Get the info you need and watch real rheumatoid arthritis (RA) patients share their experience. The agency showed off the crowded facility before President Trump visits the California border town of Calexico on Friday, hoping to convince the public that the country is facing a national emergency that requires stepped-up enforcement, including a border wall that Congress has refused to authorize. Homeland Security Secretary Kirstjen Nielsen visited El Paso Border Patrol facilities Wednesday and was due to visit those in Yuma, Ariz., on Thursday. Both areas have seen sharp increases in migrant families arriving this year. 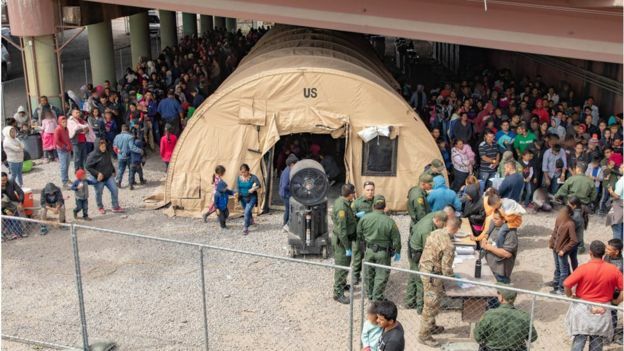 El Paso’s holding facilities were 280% over capacity this week, with more than 3,400 people in custody, some held under a bridge and in tents. Central American migrants arrive last month at a Catholic Charities respite center in McAllen, Texas. 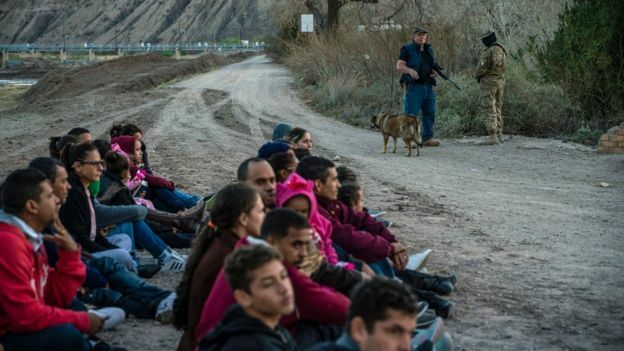 In the Rio Grande Valley, the busiest stretch of border for illicit crossings, agents have caught about 1,000 migrants a day for roughly the last two weeks. The number traveling in families has climbed 200% compared with this time last year, said Carmen Qualia, an assistant chief patrol agent who runs the facility. A total of 750 customs officers have been reassigned from entry ports in El Paso, Tucson, San Diego and Laredo, Texas, to assist Border Patrol with processing migrants; more than half of those were sent to help the McAllen facility’s staff of 120. The ultimate solution will likely be genocide, when push comes to shove, and the niceties of modern life are forgotten. Unfortunate, when we have the means to control overpopulation. We just lack the will. We've seen this coming for several years. Nobody on the Diner should be ignorant about this. Computer recycling is a fly-by-night business that is run by the kind of people who are happy to pollute the environment and hire cheap illegal labor. One of my kids' BF's worked for such a company here, and they were busted for burying toxic crap in another state on rented property with a backhoe.